I plan to port WinCPC to linux and have to use GTK+ and gcc. So I have to rewrite the entire WinCPC code from scratch into GNU C Compiler. I cannot declare the point in time of starting porting WinCPC. At the moment, I suggest to use Wine. 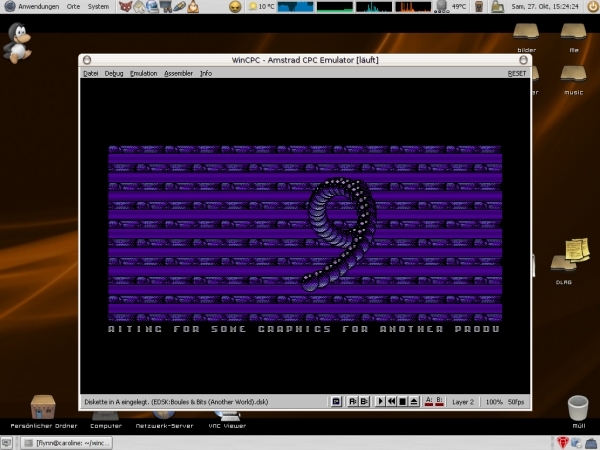 I'm running Ubuntu and tested WinCPC. 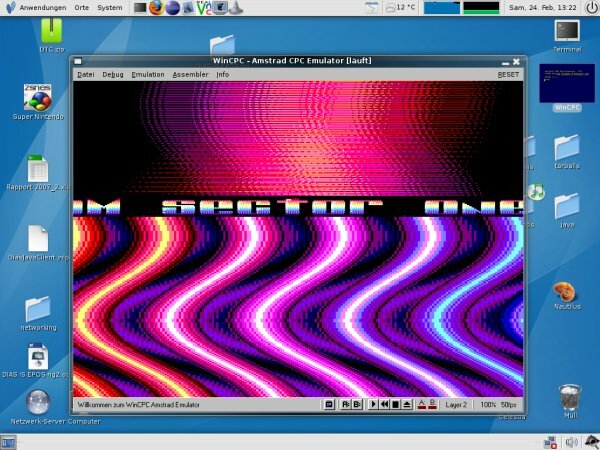 The floppy emulation noises aren't "emulated" in Wine yet. I noticed, that the debugger window is not placed correctly in the Z-order using Wine. Likewise the emulation windows by self, which doesn't appear in the task list of Gnome. I did not tested WinCPC and Wine in KDE.